Planning on hiring a marquee? Marquees are usually erected up to several days leading up to your function, and dismantled several days later giving you peace of mind, and time to make all other arrangements for your function. Large events requiring big structures, flooring, lighting, furniture, and accessories can take several days to complete construction and fitout, while small backyard affairs can be completed in just a couple of hours. Try to select a suitable area. We can install on all flat level surfaces, including grassed lawns, asphalt, concrete, wooden decking, paving, or any type of tennis court surface - no pegs. If staking of the marquee is used, be careful of the underground factors that may affect the marquee placement, gas and water lines, sewage pipes, telephone and electrical conduit or wires, sprinkler systems, etc. So as not to cause damage or injury to Wedding Marquees employees, the hirer, property, or guests, the renter is responsible for the locating and marking of any underground utilities or services. 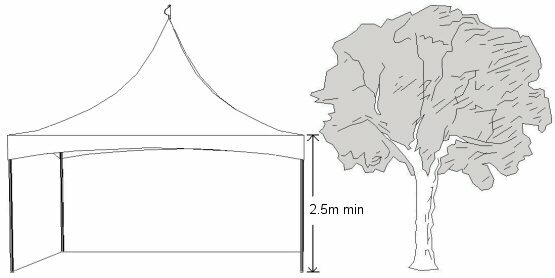 At least 50cm of clearance is required around the perimeter of the marquee for staking or weighting. More space is required for larger structures. The eave height starts at 2.5m up to 3m and must be considered when selecting a location. All marquees require at least 3m of overhead clear space. 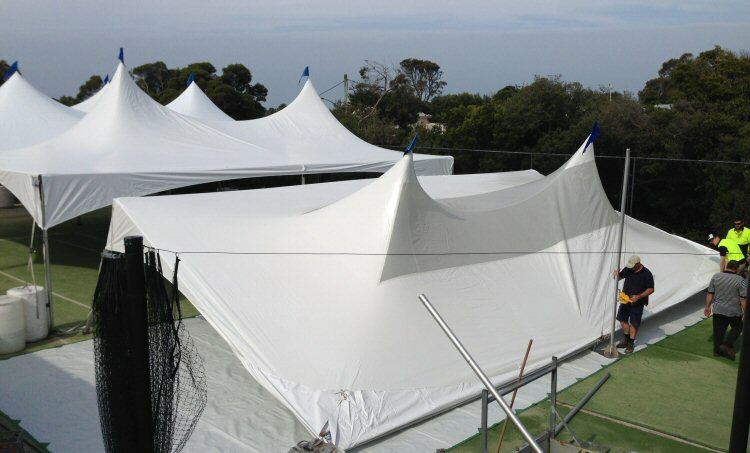 Centre peak height can reach over 8m on Matrix Series Marquees so avoid low hanging tree branches, roof eaves, etc. Power lines require at least 5m clearance from any marquee structure. It is preferred that our delivery vehicle can have access to the marquee location. If not, we need at least firm pathways leading to the site, due to the heavy nature of the equipment required. If electrical power is required to the tent for lighting, etc. 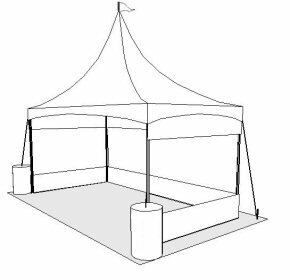 try to locate the marquee in an area where power can be easily accessed and run to the tent. assist you through this exciting process. Wedding Marquees is an independent family owned and operated business in the Mornington Peninsula suburb of Rye, offering personalised customer service and attention to detail. We are dedicated to the complete satisfaction of our clients.